Food safety is a global issue, and Oklahoma State University is leading the way by providing one of the first-ever bachelor’s degree with a food safety option in the United States. To accomplish this, FAPC's Industry Advisory Committee launched a $3.4 million fundraising campaign to support the hiring of a faculty member housed at FAPC with an appointment in OSU’s Department of Animal and Food Sciences. Hiring a faculty member with specific responsibilities to the food safety degree option is only one part of the program. A holistic plan has been put into place to be sure curriculum and student development meet industry needs and that learning experiences and career opportunities meet student needs. The curriculum for this degree option not only includes core educational requirements for any degreed program but also those requirements, including agribusiness law and technical writing that make for a well-rounded individual prepared for a food safety position in the industry. Additional classes also have been developed to teach students about advanced food microbiology, advanced Hazard Analysis Critical Control Points (HACCP) and Global Food Safety Initiatives (GFSI). Students in this program not only earn a food safety option with a food science degree but also earn certifications in HACCP and GFSI programs such as Safe Quality Foods (SQF) and British Retail Consortium (BRC). Students in this degree option also are training to perform internal audits necessary in the food industry. Real-world experience is paramount in preparing students for a career in food safety. OSU’s College of Agriculture Sciences and Natural Recourses (CASNR) provides career fair venues and other services that appropriately place students with industry to maximize benefits for both the student and the sponsoring company. Intern to employment conversion rates average about 80 to 85 percent. With the introduction of the Food Safety Modernization Act (FSMA) and customer requirements for food safety programs like GFSI, food companies’ demand for competent food safety specialists is high. Companies invest thousands of dollars on training current employees to become certified in various food safety programs. Graduates in this degree option earn those same certifications and are “industry ready” upon graduation. This first-of-its-kind degree program is possible because of the leadership and vision shared by CASNR and FAPC’s Industry Advisory Committee. Thanks to the generosity of this advisory board, more than $1.1 million has been raised toward the $3.4 million goal. 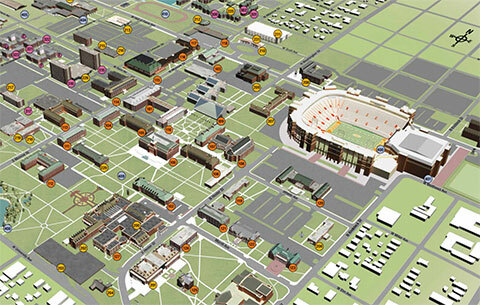 Learn how you or your company can become an invested partner in OSU’s Food Safety Campaign.